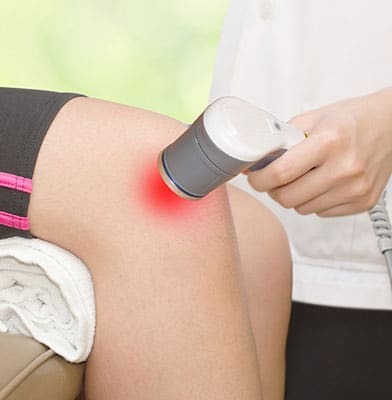 Dr. Moscow & Associates is pleased to offer World Class Laser Technology for drug-free pain relief and reduced inflammation for accelerated healing. Since 1917 when Albert Einstein established the theoretical foundations for the laser, research has produced a variety of improved and specialized laser types, optimized for different performance goals. What can Class IV Laser do for me? 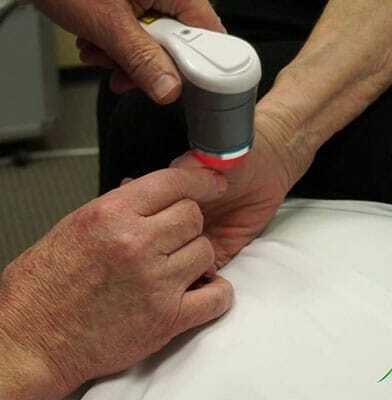 Not All Laser Therapy is the same! In contrast to Class 1, 2, and 3 low level lasers (LLLT) with low power from 1 – 500 miliWatts (0.5 Watts) resulting in limited dosage levels; our Aspen Laser incorporates advanced Class 4 laser technology that is much more powerful than any class 3 laser on the market. These higher powers, in combination with proper wavelengths, laser beam size and treatment techniques enables us to safely and effectively deliver significantly higher dosage levels (a key to success) and enhanced abilities to penetrate deeper into the cellular tissue providing better and longer-lasting clinical outcomes. Larger dosages of therapeutic energy. Class IV lasers can deliver up to 1,500 times more energy than Class III and consequently reduce treatment time. Deeper penetration into the body. Leading Class III lasers only penetrate 0.5-2.0 cm2. Class IV can penetrate up to 10 cm2. Larger treatment surface area. Class III cover a treatment area of 0.3-5.0 cm2, depending on the model and manufacturer. Class IV cover up to 77 cm2. 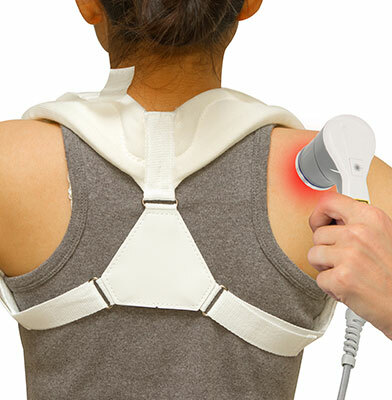 This is important when treating large regions, such as the lumbar spine, quadriceps or hips. Greater power density. Power density indicates the degree of concentration of the power output. This property has been shown to play a major role in therapeutic outcomes. Continuous power supply. In Class III lasers, the power is pulsed or modulated approximately 50 percent of the time. In other words, light is permitted to pass through the probe for only 50 percent of the total operating time. In most cases, Class IV lasers deliver a consistent amount of energy over a given time. Their power can be adjusted for acute and chronic conditions. Superior fiber optic cables. Fiber optic cables transmit laser energy from the laser to the treatment probe (wand) at the end of the cable. Several studies reveal that as much as 50 percent of the light energy generated by a Class III laser may be lost by the time it reaches the end of the probe.